There’s a brand you might be familiar with, even if you haven’t quite appreciated the history behind it. 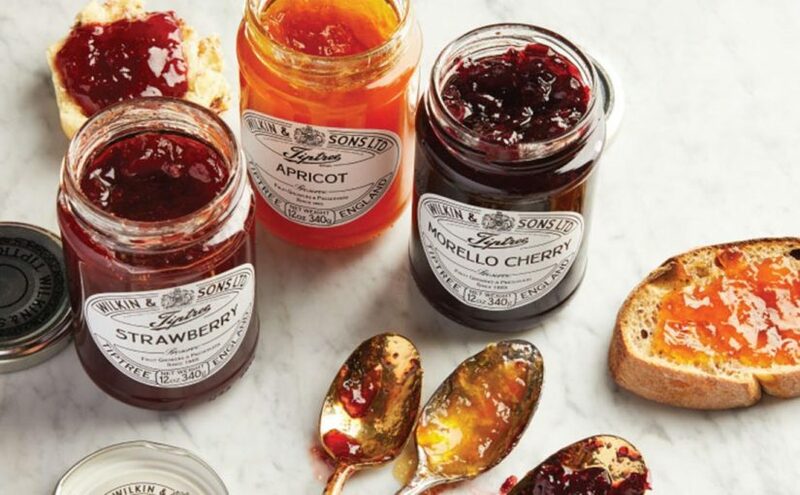 Wilkins and Sons Ltd have been making jams since 1885 in the Essex village of Tiptree, and their distinctive labels are on the shelves of supermarkets across the country. If you haven’t bought them yourself, it’s more than likely that you’ve seen the little mini-jam pots at a hotel breakfast table; last year they sold more than 50 million pots in over 60 countries worldwide. As a proud Essex girl, Tiptree is a brand I have always loved (the Raspberry Seedless jam is my favourite) so when I had the chance to find out a bit more, I jumped at the opportunity. A mutual friend had put me in touch with Daren McGrath, who is the Managing Director of Tiptree Patisserie, part of the Wilkins and Sons family of companies. He was kind enough to show me around their bakery in Witham, Essex for a look behind the scenes of this local food business, which operates on a global scale. Many of us know the English fruits and jams that Tiptree are famous for, and as much as possible of the fruit is still grown on their own farm, including of course the very special heritage Little Scarlet strawberry (to find out more about Little Scarlet visit www.tiptree.com). However, given the range of products it can’t all be grown here in the UK. For example, the oranges used in the marmalade come from Seville. I was pleased to learn that Tiptree has their very own ‘man from Del Monté’ (can I say that?!) called Robert, who inspects the crops of known and trusted producers in warmer climes, ensuring only the best are given the Tiptree label. The company has grown immensely since the 19th century and now boasts a wide range of products in addition to the jams and preserves including condiments, juices, jellies, gin liqueurs, Christmas puddings and even the most delicious fruit smelling candles and diffusers. There are 11 Tiptree tearooms across the country and a growing bakery business which makes a range of bread, cakes, scones, pastries and patisserie for a variety of commercial and private customers. The patisserie business started to provide cakes for the tearooms but now has a much larger customer base. Sitting down for a chat with Daren before touring the bakery, I was amazed to hear that Tiptree Patisserie products are sold as far field as Singapore and China, providing customers in the Far East with a genuine taste of the English countryside. 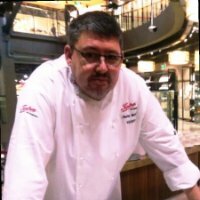 Daren has personally toured China, giving live cookery demonstrations to thousands of people, educating them on the delights of an English cream tea. He is even a bit of a Chinese social media star! Daren wouldn’t give away all his secrets but I got a few titbits, such as a spoonful of apricot jam in the Coronation chicken sandwich fillings and carrot cake laced with Tiptree’s finest marmalade. It was fascinating to hear how passionately the Chinese have embraced the concept of the cream tea. Daren admitted to being nervous when he realised the Chinese palate isn’t particularly fond of jam and they don’t really have an equivalent there. But he has obviously worked some magic, as the company is now exporting tens of thousands of scones, clotted cream and jam to China every month. I then had a tour of the bakery, which I was completely blown away by, but not for the reasons you might think. The bakery operates 24hrs a day, 6 and a half days per week making breads, cakes, scones, biscuits, patisserie and savoury pastries. 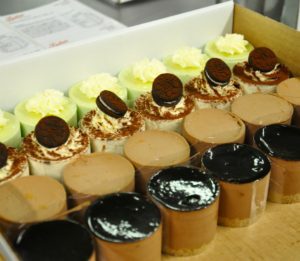 They make around 900 different products, as well as bespoke cakes for all sorts of occasions. From the spectacular – the largest cake they ever made was a 3 metre high carrot cake in the shape of a life-sized giraffe to celebrate a birthday at Colchester Zoo, which had 4000 portions – to the more prosaic – 14,000 Victoria sponges to a specific height, so they could be stacked on the trolleys they had at the event venue. The bakery makes products for a wide range of customers from small scale caterers to big hotels and grand functions, but it wasn’t the range of customers that I was so impressed with. It was the fact that every cake, scone, biscuit and bread is made by hand, in small batches, by humans using equipment any of us would recognise. They had the same gingerbread man cutters that I have at home! They bake in batches to a maximum of 40 and yet they offer consistency and quality in everything they produce. Daren knows exactly which baker has made every item that is sent from the bakery. Their name is on the box and everyone working there prides themselves on delivering a quality product for every customer, big or small. There was so much I loved about my visit to Tiptree. Not just meeting Daren, whose enthusiasm and vision for the future of the business was genuinely inspirational. Not just that as the business expands it stays true to its ethos of having staff as part owners of the company, making everything by hand and allowing no additives in anything they make. Not just that the staff there clearly understand that the relationship people have with cake is special; we have cake to celebrate all the special moments in our lives and the staff at Tiptree understand their role in that. And not just that you can now go to a department store in Singapore and have a proper English-made scone with clotted cream and Essex jam, the idea of which makes me immensely happy. And finally, Tiptree are committed to developing the future of the industry, by training apprentices that are passionate about the business, to ensure that the renowned and trusted Wilkins and Sons Ltd. fruit farmers legacy of making quality products continues for another generation. 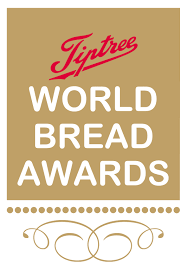 Looking to the future, Tiptree sponsors the World Bread awards (worldbreadawards.com) which are always looking for new entrants, particularly younger bakers. So if you have a budding bread-head in your family make sure they get their applications in. Daren and the other judges will be waiting!